FacilitiesThe hotel offers an extensive range of services and facilities and is the ideal place to stay for business travellers and holiday makers alike. 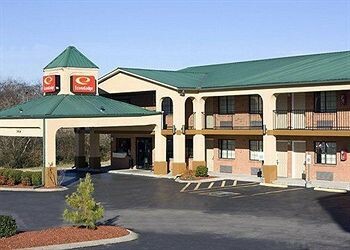 The hotel offers various services and facilities for a comfortable and relaxing stay, including internet access and wireless internet access.RoomsThe hotel offers non-smoking rooms and smoking rooms. All rooms feature air conditioning and a bathroom. A minibar is also available. Features include a fridge, a microwave and tea and coffee making equipment. An ironing set is also available to guests. Guests can enjoy a comfortable holiday with convenient amenities, including internet access, a telephone and wireless internet access. In each of the bathrooms, guests will find a bathtub and a hairdryer.Sports/EntertainmentThe hotel offers an outdoor pool. MealsBreakfast is bookable as a board option.